A blend of some of the finest Islay and Speyside peated malts combined with richer, older GlenAllachie, the Lum Reek 21 years old was aged in Oloroso, Virgin Oak and Red Wine casks. 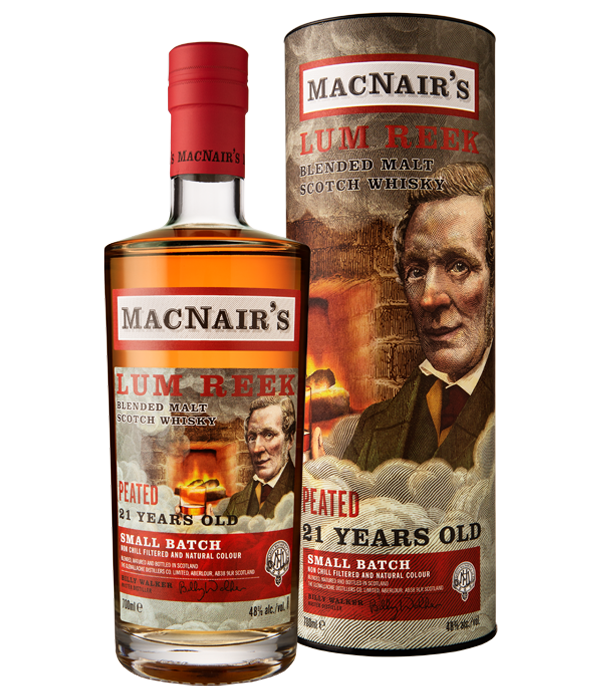 Non chill filtered, natural colour and bottled at 48% ABV, Billy Walker has recreated the peated whiskies of 100 years ago for the modern-day palette. Aristocratic peat smoke with dark chocolate and fudge. 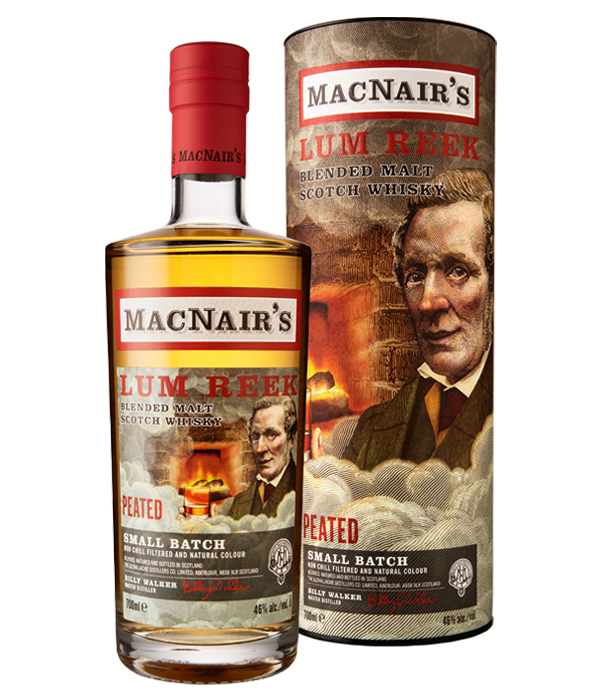 Tobacco, leather, cedar wood and waves of peat reek with oodles of cocoa, vanilla, honey and spices.